Carolina Beach, North Carolina (CNN) Officials in the potential path of a still fierce Hurricane Florence had a stern, clear message for people still in coastal towns under evacuation orders. — Alexander Gerst (@Astro_Alex) September 12, 2018 “Watch out, America! 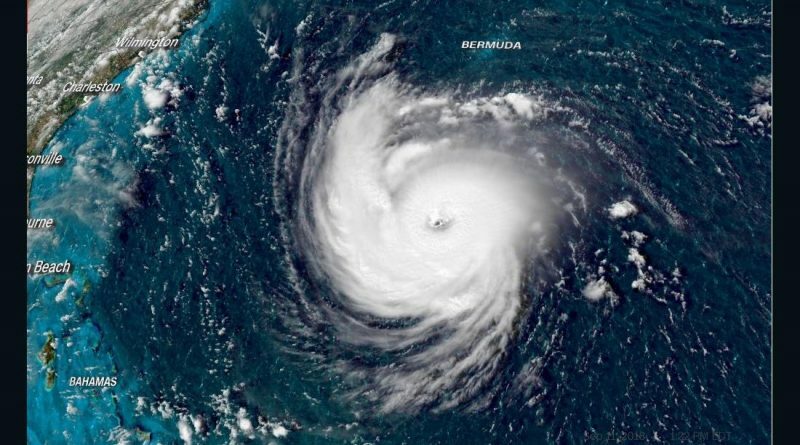 #HurricaneFlorence is so enormous, we could only capture her with a super wide-angle lens from the @Space_Station, 400 km directly above the eye,” German astronaut Alexander Gerst tweeted. “Get prepared on the East Coast, this is a no-kidding nightmare coming for you.” Subtropical storm Joyce formed in the Atlantic on Wednesday but is not expected to threaten land. The four named storms in the Atlantic come as one in the Pacific is hitting Hawaii .